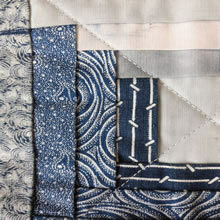 Folded Log Cabin is a lovely traditional patchwork block that is machine pieced and either machine or hand appliquéd. This is an opportunity to use your scraps of pretty, small print fabrics, (1930's style works well). Your finished block(s) could be made into a cushion, a small bag or be the beginning of a patchwork quilt. A very pretty form of patchwork, clamshells are often overlooked. Molly will show you her own method of piecing this lovely patchwork shape, both by hand and a quick and easy method on the machine. 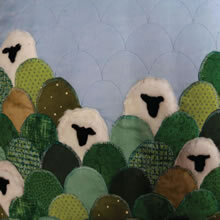 You will be provided with the materials to make the super cute 'Sheep in the Hills' cushion cover. This can be made by hand or by machine and can be finished at home if necessary.